A paraglider was seriously injured in an incident on a popular fellside in the Forest of Bowland. The 41-year-old was taking part in a tandem flight with her partner on Saturday on Parlick near Chipping in Lancashire, when they were dragged across the hillside by their canopy. Bowland Pennine Mountain Rescue Team was called out and the North West Air Ambulance also flew to the scene on the western slopes of the 432m (1,417ft) hill, which is a favourite of paragliders. The pair were airborne briefly before hitting a stone wall and travelling a further 100m before coming to rest. “The female was in the front and took the full force of impact,” the team spokesperson said. The air ambulance crew and Bowland Pennine MRT volunteers treated the woman for major trauma and suspected neck, spine and pelvis injuries. 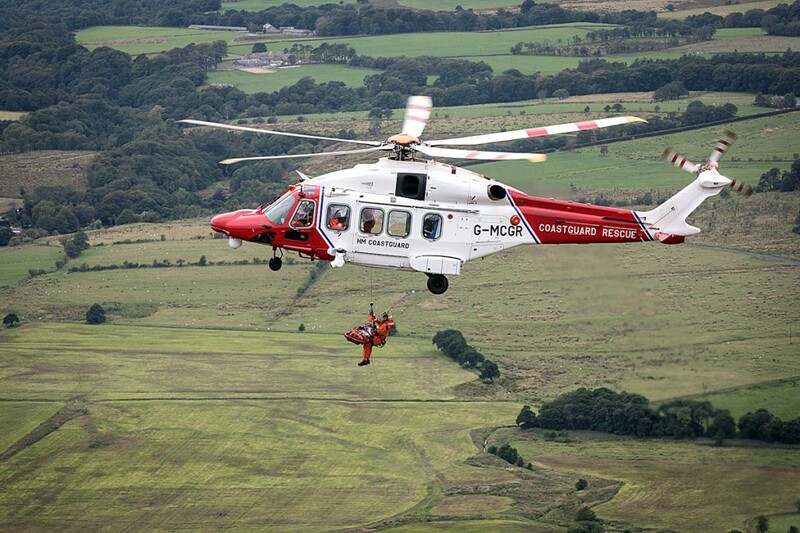 The rescue team requested the help of a Coastguard helicopter as stretchering the injured paraglider down the hillside to where the air ambulance had landed risked exacerbating her condition, and the Prestwick crew flew to the scene. The AgustaWestland 189 aircraft lowered its winchman to the scene and the casualty was airlifted from the fell and flown to Royal Preston Hospital. Medics confirmed the woman has broken three vertebrae and is likely to need surgery. Her partner was uninjured but suffered shock in the incident. He was walked to the valley by a Bowland Pennine MRT member.